Colorado Springs Real Estate: Why not BUY NEW construction? Have it YOUR way! 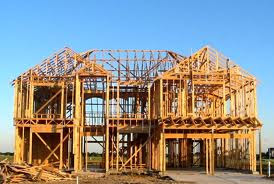 Always have a Realtor with you at new construction. The salesperson it probably real nice - BUT they work for the builder - NOT YOU! Provided courtesy of Bernie McDonnell, Cornerstone Real Estate Team. Call or text (719) 659-9482 for information on buyer and seller representation at no cost.